A good story is a good story is a good story, and this one was for me a step above good. When I can read something that contains a topic that, I have to be honest, is one I tend to avoid, and I really enjoy the story anyways and not be bothered by that particular aspect...well, for me it says a lot about what an amazing job the authors did with this book. Ok, so confession time. 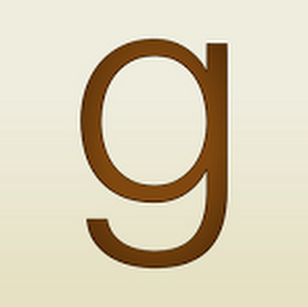 I took a short break here and went poking around at some other reviews because I have to admit as much as I enjoyed this story I was surprised by the fact that the 'daddy kink' didn't really bother me, and I think I found my explanation in reviews written by fellow reviewers whom I respect and definitely consider to be more knowledgeable about this topic, and according to those reviews the 'daddy kink' in this story is 'mild' and/or not representative of 'true daddy kink'. This makes sense to me so I'm good with that, and since I wasn't really looking for 'daddy kink' it in no way changes how much I enjoyed the story. The age gap here is 17 years, and even though I've essentially gotten past my whole age gap issue, I have to admit this is a big gap in my eyes, but things worked. It was a combination of the blind optimism of youth that was exhibited by Poe's belief that age is just a number, and don't misunderstand in many ways it is, and in all honesty, thank heavens for the optimism that we have in our youth. It's what frequently gives us the faith and courage to step beyond the boundaries that we set for ourselves as we get older. We got to see Poe do a lot of growing up in this story. He learned from his mistakes, and as he did he also redefined who he was and what he wanted from life. He went from being a son who Landon loved but was at his wits end as to what the do with him, to being a son Landon could be proud of and a man that Jericho could truly love and be partners with. I also totally understood Jericho's perspective; while the age gap frequently bothered him, and he was the one who more often than not brought it up, I liked that he also seemed to come to the realization that sometimes when something works and it feels right, you just have to go for it. Let it happen, seize the day; whatever adage you want to apply. Jericho finally accepted that he and Poe were good for each other, and they were good together...it worked for them, and really, at the end of the day isn't that what matters most? That a relationship is good, and the people involved are happy and where they want to be. Along with Jericho and Poe who I truly would love more of, we are given Poe's father Landon, and honestly I'd love a story for him. Landon...hot men, fast cars...I can so get behind this idea...mmmmmmm...yummy, and then there's also Callum. Callum strikes me as someone whose story could be fascinating, to say the least. Along with Landon and Callum we are given Poe's best friend Blue. I'm really torn on how I feel about Blue; part of me wants to just smack him upside the head and tell him what a total douchecanoe he was for the things he did, and another part of me wants to feed him milk and cookies and help him see that he's worth so much more than he gives to himself, and that he deserves some happy and love too. Maybe he needs to learn to value and respect himself first so that other people will value and respect him as well. Lastly, we have Pete, one of the tattoo artist in Jericho's shop; we don't really see much of the grumpy dude but again I think there might be an intriguing story there. 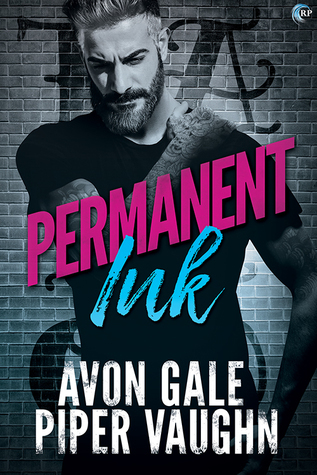 'Permanent Ink' was an excellent start to 'Art & Soul', a new series by Avon Gale and Piper Vaughn, and I'm really looking forward to adding this to my reading list. 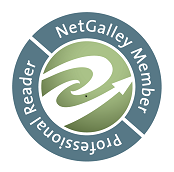 A copy of 'Permanent Ink' was graciously provided by the publisher via NetGalley in exchange for an honest review.